We have modified our mock tests based on what happened last year. We have cut down on syllogism questions and increased puzzles. Also, we have made the tests a little bit harder than last year considering that SBI PO papers have moved a little bit on the harder side. 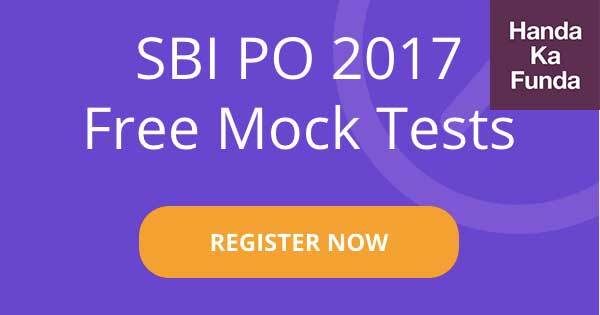 We thought it would be a good idea to give out one free mock for SBI PO Prelims Exam. To get access to the free mock, please fill the google form given below. We will email you the login / password for the free mock within 24 hours. We also have SBI PO online course / pen drive based course. If you have any questions about the same, please use the comment section. Find out more details about our online courses for SBI PO exam.